Tags: Brown, Golden, Halterneck, Nikah & Engagement, Sharara, Short Shirt. Light golden brown pure organza short shirt having halterneck design. Shirt has been embellished with antique and different shades of embellishment. Small embellishment border on dupatta. 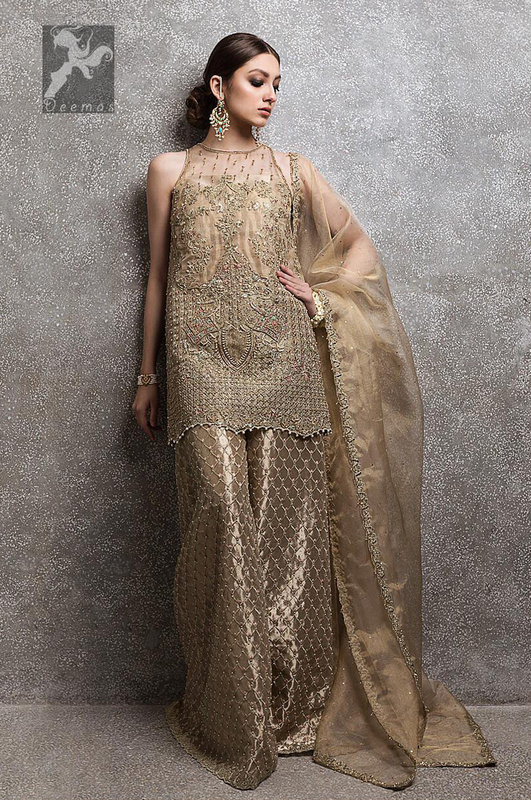 Sharara is adorned with embellishment all over it. Shirt adorned with embellishment all over it. Different shaped motifs all over it. Antique shades of hand embellishment.